In the last few years, a lot of interesting food and drink-related jobs have become available. Absolut Vodka hired a “professional drinker” and multiple companies are paying people to eat and drink their way around the world. But what if someone paid you to be a pizza taste tester? That would be a dream, right? Nobody would ever pay you to gorge yourself on crusty dough, melty cheese, and spicy pepperoni, would they? But, wait! This job actually does exist and there’s still time to quit your nine-to-five job and make your pizza dreams a reality. A company called Ooni is currently in need of pizza taste testers. The newest, greatest job in the world consists of recipe development, product testing, and brand ambassadorship for the portable wood-fired pizza oven company. This is the perfect job for chefs, Italian food fans, and anyone looking to eat so much pizza they no longer want to ever eat pizza again. Sadly, the pizza taste tester positions aren’t technically full-time jobs. The pizza taste testers work remotely from home using Ooni ovens. You’ll be paid based on your experience, but the base rate is $300 per day. That sounds like a pretty fare wage to eat and critique all that saucy, doughy goodness. If you have more culinary experience, you can make as much as $1,000 per day. Since it’s a remote job, the pizza taste testers can live anywhere in the world. 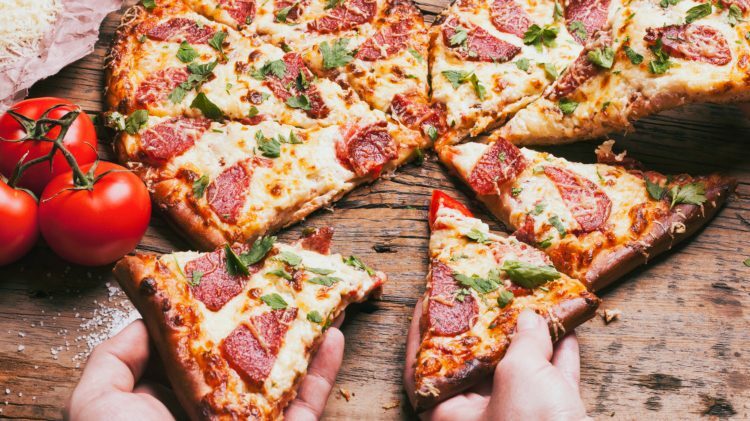 All you need to get this coveted position is have a passion for pizza and a willingness to provide important feedback (while you feed yourself). If you’re hired, the company will even send you one of its pizza ovens, so you can start making pizza as soon as possible. If becoming a pizza taste tester sounds good to you, you can send your resume to Ooni ([email protected]) as well as a video (no longer than one minute) explaining why you’re a great candidate. The application is open until Oct. 14. After that, you’ll have to settle for whatever cold pizza you find hiding in the back of your fridge.